The Eparchy of St. John Chrysostom of Gurgaon of the Syro-Malankaras extends over the entire territory of North India, comprising 22 of the 29 States of the Country. The southern border of the circumscription includes the four central States: Gujarat, Madhya Pradesh, Chhattisgarh and Orissa. Besides in these States, the faithful are diffusely present especially in Punjab, Haryana, Delhi, Uttar Pradesh, Rajasthan and West Bengal. The See of the Eparchy is Gurgaon, near Delhi, because the faithful are mainly concentrated in Delhi metropolitan area, distributed in nine parishes. In the region there are two Colleges and ten schools run by the Syro-Malankara Church. 15 priests, eparchial and regular, and about 30 women religious offer their services in the pastoral, educational and charity works. 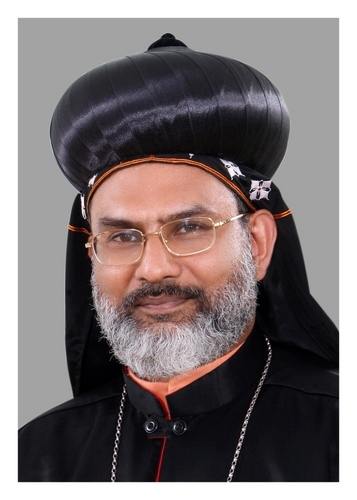 The first Eparchial Bishop will have his residence and chancery atMar Ivanios Bhavan, Neb Sarai, New Delhi, where the Church of St. Mary is also situated and which will be the Cathedral.